I’m typically not one to watch “reality” television (with the exception of Survivor). I don’t care about keeping up with anyone, any sort of dynasties, or housewives from major cities. I see enough on social media to know that there’s not much that’s real about these shows, and I prefer my celebrities to have actual talent. I tell you all of this to introduce my latest read, Royce Rolls by Margaret Stohl. This book is, of course, fiction, but it takes readers behind the scenes of what life on a “reality” show may be like. The action revolves around Bentley Royce, middle child in the family featured on Rolling with the Royces. It’s almost immediately clear that the Bentley shown to the public is nothing like the real girl, and she’s growing tired of the charade. If only her family felt the same way. Bentley Royce has spent much of her life in front of cameras. It kind of goes with the territory when your family is the subject of the number two reality show in the nation. But Rolling with the Royces is in trouble. Cancellation looms, and Bentley is hopeful that this could be her chance to live life on her own terms instead of following the network’s idea of who she should be. But the Royces have never been a family to go down without a fight. Bentley’s momager, Mercedes, is ruthless and will stop at nothing to get her family back on top. Her older sister, Porsche, isn’t much better. Bentley’s only possibly ally is her younger brother, Bach, but he’s dealing with his own problems with gambling. While Bentley longs for freedom from the insanity around her, she quickly realizes that it’s not that simple. Without the show, who are the Royces? The family could very well crumble without the show keeping them afloat, and that’s simply not acceptable to Bentley. So she’ll do what she must–including embracing the Bad Bentley character the public seems to love–to ensure that her family stays on the air. As Bentley is giving the paparazzi a show, her sister has her own idea for avoiding the show’s demise. What else but a celebrity wedding? Porsche announces that she’s getting married (to a guy that no one knows anything about), and the family drama gets even more insane. Now, Porsche is planning the wedding of the century, Mercedes is shooting daggers at her future son-in-law, and Bach’s gambling addiction is worse than ever. It seems, as always, it’s up to Bentley to get things back on track. But how can she keep her family in the spotlight while stepping out of it herself? Is there any way out of this mess? Who can she turn to for help? In a world that never looks below the surface, can she find anyone that sees and supports the real Bentley Royce? Discover just how far one resourceful, desparate girl will go to save herself and her family when you read Royce Rolls, the latest book by best-selling author Margaret Stohl. 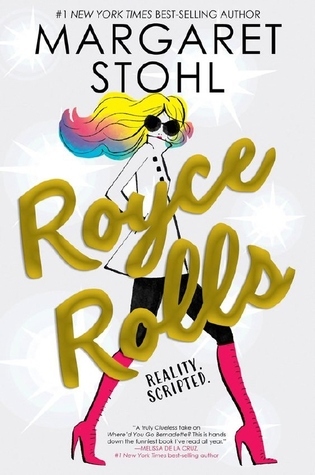 Royce Rolls is a great book for people who both love and loathe reality TV, particularly Keeping Up with the Kardashians…which had to be the inspiration for most of the book’s characters. 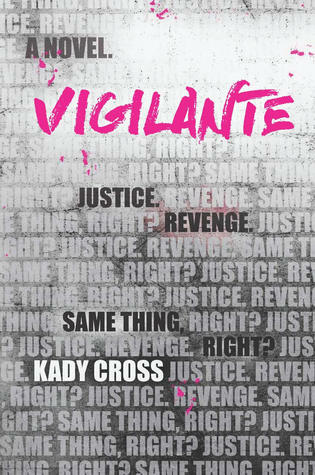 I would recommend this book to a high school audience, but it should be fine for mature middle school students as well. If I have one complaint about this book, it would be the footnotes. From what I gather, they are production notes, but that isn’t clear at the beginning of the book, so I find them distracting and not altogether necessary. For more information on Royce Rolls and others by the fabulous Margaret Stohl, check out the author’s website. You also definitely need to take a look at this totally awesome book trailer for Royce Rolls. There are some books that should really be packaged with a box of Kleenex. Goodbye Days is one of those books. From Jeff Zentner, author of the William C. Morris Award-winning The Serpent King, comes another novel that absolutely rips your heart out. Goodbye Days isn’t one of those books that makes you cry only at the end. No, this one elicits full-on sobbing most of the way through. This novel is at once tragic, poignant, and cathartic, and I adored every last bit of it…even though I was often reading through a veil of tears. Thanks to NetGalley, I was able to read Goodbye Days a little early, but it’s available for the masses on March 7th. If you’re wondering if you should buy this book, you absolutely should. Carver Briggs should be getting ready to enjoy his last year of high school with his three best friends, Mars, Blake, and Eli. Instead, he’s attending their funerals and dealing with the knowledge that he played a role in the deaths of those closest to him. How was he supposed to know that sending them a text message–like so many they’ve sent in the past–would somehow lead to the accident that destroyed everything? Now, Carver’s life without his friends is almost more than he can bear. He’s a mess of grief, guilt, and fear. Grief over the loss of his friends; guilt over his role in this tragedy; and fear of what may happen to him if the authorities decide to bring criminal charges against him. Carver doesn’t know how to cope with everything, and he’s experiencing panic attacks for the first time in his life. Something’s got to give. Thankfully, Carver isn’t completely alone. He’s supported by his parents (even though he doesn’t really confide in them), his wonderful sister, Georgia, and Jesmyn, Eli’s girlfriend, who shares her grief with Carver. He’s also started seeing a therapist–at his sister’s urging–and that’s helping him to explore his feelings about everything that’s happening. Then there’s Blake’s grandmother. She, unlike some of his other friends’ family members, doesn’t blame Blake for what happened. She comes up with the idea of having a “goodbye day” for Blake, and she wants Carver to share one final day saying goodbye to her grandson. They’ll tell stories about Blake, visit his favorite spots, eat his favorite foods…basically, spend one day devoted to Blake’s memory. At first, Carver is apprehensive about this, but he finds the experience somehow cleansing, and he wonders if it’s a good idea to have “goodbye days” with the families of his other friends. Some are willing; others are not. Not everyone forgives as readily as Blake’s grandmother. Even Carver feels that he’s somehow deserving of everything being heaped on him: the criminal investigation, the panic attacks, being a pariah at school, and the thoughts that plague him on a daily basis. Will Carver ever be able to forgive himself for his role in this horrible tragedy? Will others be able to forgive him? Can a series of “goodbye days” help Carver and his friends’ families make some sort of peace with their loss? Will a cloud of grief hover over Carver forever, or will he be able to find a “new normal” with a little help? I don’t know what more I can say about this book without telling everything that happens. It wrecked me, maybe more than The Serpent King did…and that’s saying a lot. I think Goodbye Days is a great read for fans of John Green, Rainbow Rowell, and Gayle Forman. Basically, if you like books that tear your heart out, this is the book for you. In my opinion, Goodbye Days is more suited to a YA audience than a tween crowd. If you plan to market this book to a middle grade audience, read it first. The book is written from a teen guy’s perspective, so there is some language and frank talk of “personal growth.” (I don’t think I need to explain that, do I?) Know your readers, and plan accordingly. 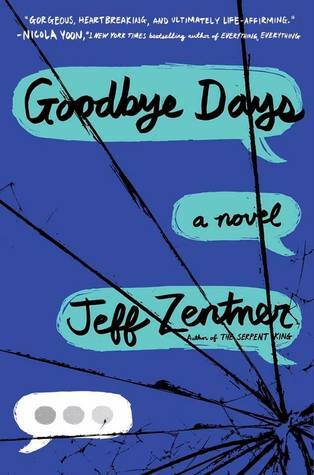 For more information on Goodbye Days and Jeff Zentner (who is now one of my go-to authors for contemporary YA), visit the author’s website. You can also connect with Jeff Zentner on Twitter, Instagram, and Facebook. Almost a year ago, I read Jennifer Niven’s All the Bright Places and instantly became a fan of this wonderful author. This morning, I finished reading her latest book, Holding Up the Universe, and I must say that I have a lot of feelings about this book. 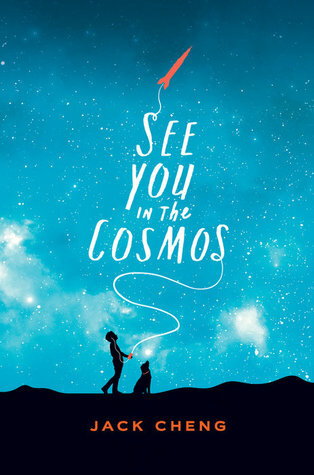 Like its predecessor, Holding Up the Universe was at once heart-warming and heart-breaking, and it was difficult for me to read at times, but for very different reasons than All the Bright Places. You see, one of the main characters in this book is a big girl, and, while I often appreciate seeing my own experiences reflected in the books I read, it can also be extremely painful. Does that mean I don’t like the book? Absolutely not. In fact, I find it incredibly moving and uplifting. I wish I were more like Libby Strout–even as an adult–and I can only hope to apply her attitude about life to my own. Okay…before I get too bogged down in my own issues, let’s move on to this touching novel and the story of Libby Strout and Jack Masselin. Libby Strout knows what it is to be the center of attention. It’s not necessarily a good thing. Several years ago, she was a media sensation because she had to be cut out of her house. She was known as “America’s Fattest Teen.” She received hate mail from people who thought they had the right to scorn her. None of these people knew what led her to this point, and none of them seemed to care. They judged her solely because of her weight. Jack Masselin is one of the popular guys at school. He has a lot of friends, he’s good at sports, and he has a pretty (if sometimes mean) girlfriend. At first glance, he’s got it all. What no one realizes, though, is that Jack is dealing with prosopagnosia, also known as face-blindness. No matter who the person is, how long he’s known them, or even how much he loves them, everyone around him is a stranger. He’s done a decent job of compensating for his condition–generally by being a world-class jerk–but it’s getting harder and harder to cope with his messed up brain. 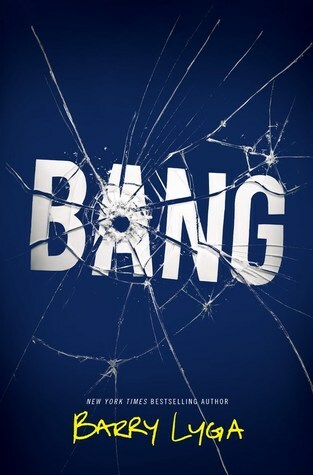 Libby and Jack probably could have avoided each other forever, but a horribly sadistic “game” brings them together. (FYI, Jack was being his jerky self to fit in with his friends, and Libby stood up for herself.) Now, they’re getting to know each other better in mandatory counseling and community service. Against all odds, the two are growing closer and trusting each other with their deepest secrets and most ardent dreams. As Libby and Jack become friends (and maybe more), they encounter backlash at school. Mean guys and girls continue to focus on Libby’s weight, and they want her to feel as low as possible. No one gets why popular Jack Masselin would choose to hang out with Libby. After all, all they can see is that she’s fat. They don’t see what Jack sees. They don’t see that Libby is funny, confident, smart, beautiful, and she makes him feel less alone in the world. As for Libby, she doesn’t understand why Jack sells himself so short. There’s more to him than popularity, or swagger, or even face-blindness. If only she could get him to see that. With friends, societal expectations, and even their own issues working against them, is there any way that Libby and Jack can make a real relationship work? Has too much happened to make this possible? Or will each of them finally see that the love and acceptance they’re looking for is right in front of them? I really didn’t want to get overly sappy in this post, but I think we can all agree that didn’t quite work out. 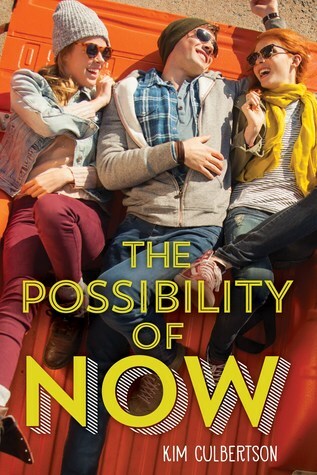 Even though my own experiences in high school tell me that there is no possible way the popular guy ends up with the big girl, I really wanted it to work out for Libby and Jack in this book. In many ways, I got exactly what I wanted…and what my adolescent self needed. 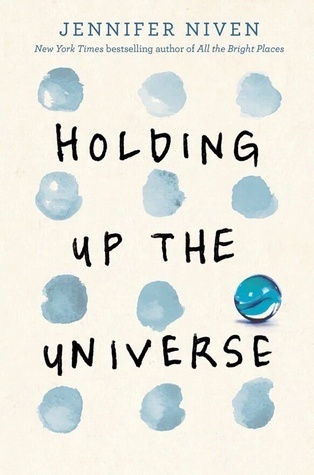 To learn more about Holding Up the Universe and the fabulous Jennifer Niven, I encourage you to visit the author’s website. You can connect with her on Facebook, Twitter, Instagram, and Pinterest. You may also want to take a look at the unspoilery book trailer below. Ms. Niven is also the founder of Germ Magazine, an online literary/lifestyle magazine for teens and beyond. I’ve only glanced at it so far, but it looks pretty cool. Happy reading to you all. Be safe out there.